Living… the dream, in Washington D.C. Well, his dream, anyway. Jonah has fully bought into the game of Washington politics and feels most comfortable in that world. He’s part of making national politics what it is. He’d take that as a compliment, even if it wasn’t meant that way. Profession… White House aide, frequently coordinating between the President’s and Vice President’s offices. 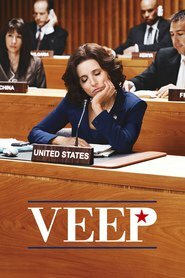 Most times, his job is simply to be the bane of Vice President Selina Meyer’s existence. Jonah relishes in his (supposed) proximity to Presidential power and reminds Meyer’s staff of his superiority whenever possible. When something goes wrong, he’s eager to yell about others’ mistakes. Meanwhile he couldn’t be happier with his own performance, despite the lack of evidence that anyone else is happy with it. Interests… a good time. Jonah is also self-aggrandizing about his life outside of work, although where he finds time to party is anyone’s guess. He is known to enjoy a good thrash-metal show. Frankly his biggest interest is women, even if they don’t usually return the interest. Relationship Status… single, either by choice (his view) or in spite of his desperation (reality). He is a wannabe lothario, flirting with anything that moves. He had a brief fling with the Veep’s chief of staff Amy, a fact that haunts Amy to this day. He’s also made a pass at Sue, the Veep’s intimidating personal assistant. And he’d probably make one at Selina if he could ever get Gary away from her for a second. Personality… smug. No one’s more self-satisfied than Jonah. Not only does he love himself, but he also loves to remind others of their inferiority, just in case they forgot. He’s hungry for power and cares little for actual policy. In other words, he’s right at home in politics. Jonah Ryan 's popularity ranking on CharacTour is #2702 out of 5,000+ characters. See our top-ranked characters and read their profiles.